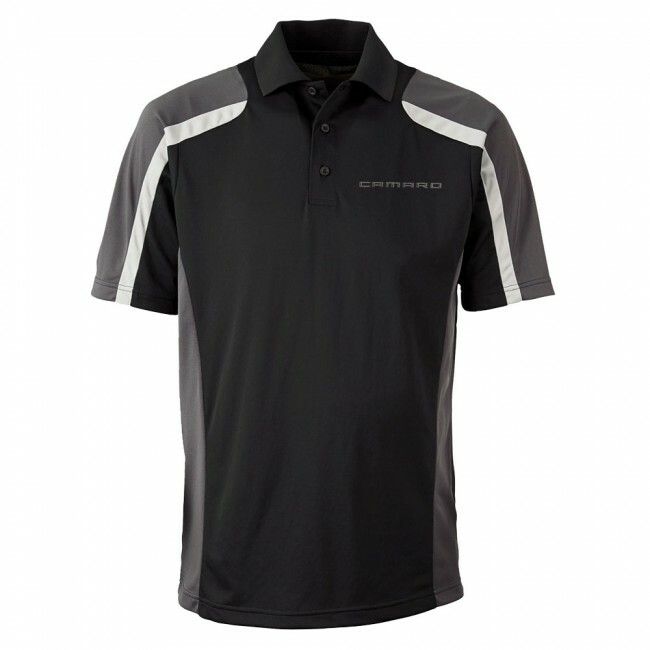 You'll like the look of this 3-color polo with contrasting shoulders and striped inserts. 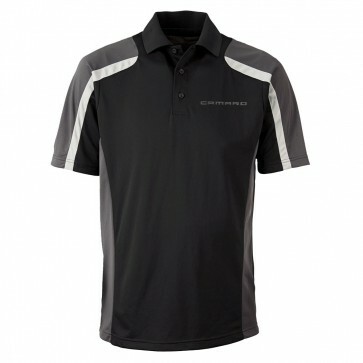 This moisture-wicking shirt features a three-button placket, matching collar, is snag resistant and offers UV protection. A perfect blend of style and comfort. Camaro signature embroidered on left chest. 100% polyester. Imported.